Last night, surrounded by my family, I lit the Chanukah Menorah. We sang HaNeiros Halalu and sat in the glow of the candles sharing stories and Divrei Torah, fully immersing in the experience of the Yom Toiv and in each other’s company. It sounds beautiful but unremarkable – the same was happening in countless Jewish homes around the world. But it was extremely remarkable for me. It has been TEN Chanukois since I’ve been with my family for the Yom Tov. Ten Chanukois, Eighty nights, I lit the Menorah by myself in a cold and dark place called prison. It’s a pain that’s indescribable. No human being should ever know. As I think about my brothers left behind tears fill my eyes and I daven hard that each and every one experience an immediate yeshua. 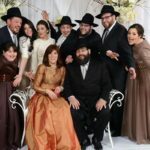 The absence of family was felt very strongly, especially during Yomim Tovim, but I never felt alone. For one thing, our Father, Hakadosh Baruch Hu, was always with me. For another, I discovered a world of siblings I had only ever heard about, but never directly experienced. 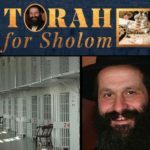 All of Klal Yisroel, all my brothers and sisters, rallied to my side during those difficult times, through thick and through thin, through ups and through downs – until the very end of my ordeal, when I was miraculously released last year on Zois Chanuko. BaYamim HaHeim, BiZman HaZeh. My gratitude to Hashem knows no bounds, and neither does my gratitude to you – my family. I have been encouraged by Gedolei Yisroel of many communities to engage in Pirsumei Nisoh, making it clear that Hashem watches over every single Yid with amazing Hashgacha and a Yid is never alone. 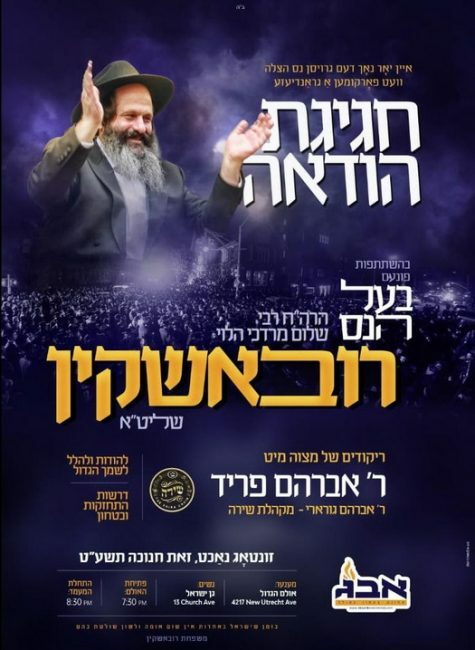 It is in that spirit that I want to invite you to celebrate this great miracle together with me on Sunday Zos Chanukah, 7:30pm at the Ulam Hagadol 4217 New Utrecht Ave. Brooklyn NY. 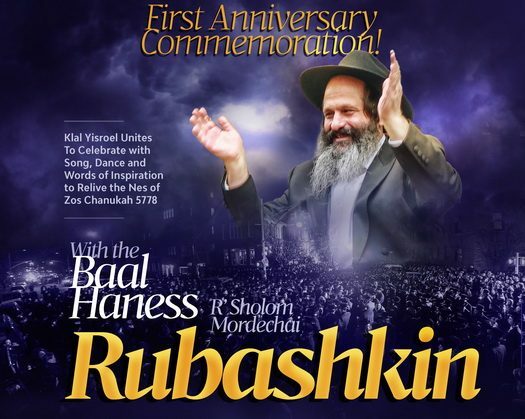 We will gather in celebration and unity, as we did exactly one year ago, with music, singing and dancing in praise and thanks to Hashem for His infinite kindness, and in complete faith and trust that we will see His kindness in every aspect of our own lives. 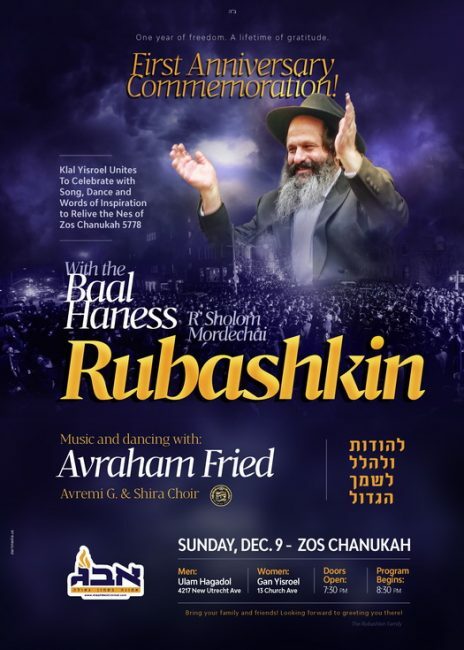 We will be joined by Avraham Fried, Avremi G, Shira Choir and others who will come to add joy to the celebration, but it is not a concert and there is no charge at the door. It is a family celebration and I hope to see you there – after all, we are one family. Looking forward to seeing you! A freilichen Chanukah!